Is recycling the key to sustainability? The 2015 U.S. plastic bottle recycling rate posted a slight decrease of 0.6 percent compared with 2014, according to the figures released by the Association of Plastic Recyclers (APR) and the American Chemistry Council (ACC) in the 26th annual “National Post-Consumer Plastics Bottle Recycling Report.” At the current and projected rate of production, a plateau like this should ring alarm bells! 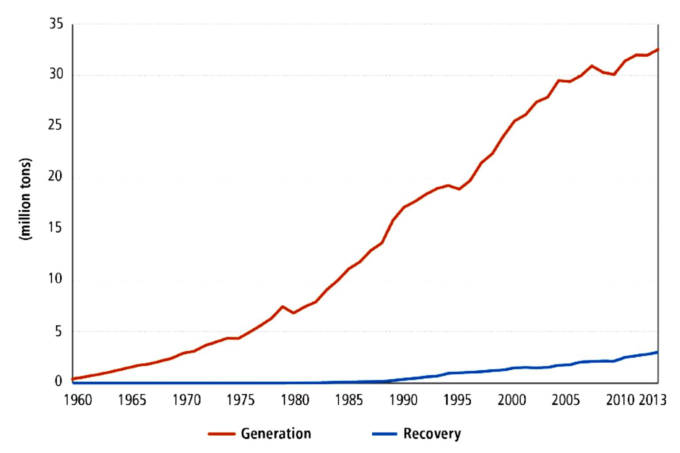 The data clearly shows we are not going to recycle our way to a sustainable future. As someone who’s actively engaged in the sustainable management of plastics, I pay close attention to companies that are managing our waste. These companies are on the frontlines of managing the recovery and disposal of solid and hazardous waste materials, which include landfills and recycling centers. I strongly believe that integrating the advice from these groups and working with them hand-in-hand should be an integral aspect to any sustainability program. For example, at the recent 2016 Resource Recycling Conference in New Orleans, CEO of Waste Management, David Steiner, specifically pointed out that in order to achieve the “biggest bang for the buck” environmentally, coupling recycling with landfill gas-to-energy offers the greatest return value. This is the “environmental” recommendation from David Steiner, not a shareholder perspective. And Waste Management should know, they are after all the ones actually doing all the work in collecting, processing and managing the vast majority of the our waste. His shareholder perspective is profitability, as it should be. In a recent interview with Bloomberg, David Steiner explains that when you look at the various commodities that are recycled, there are some that are profitable. Those are primarily fiber (paper) and metals. 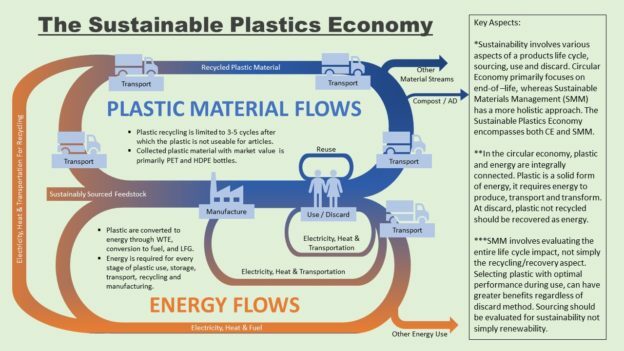 Once you start moving into organics (plastics) and glass, they become less profitable (and in most cases over the past few years, they have lost money). In places like California they’ll do things to subsidize those types of materials to ensure Waste Management makes a profit, and then people can recycle those materials… Elsewhere, this does not work economically and understandably so. However, Waste Management will do what the municipality wants, just not at the expense of its bottom-line. They’ll be happy to recycle everything; it’s only a matter of how much you want to pay for it. 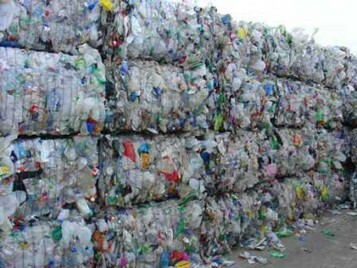 But buyers beware if the commodity prices do not cover the processing costs, recycling becomes an exercise in futility. Nonetheless, if the municipalities are willing to pay (increase taxes) for this exercise, Waste Management will be happy to oblige. They will “recycle” it, collect it, sort it and they will process it. For Waste Management, processing costs and a little profit are baked into the contract. If there’s no market, no problem for Waste Management, this material will end up disposed into a form that is not recycling. Recently at K 2016, Patrick Thomas, chairman of the European trade group Plastics Europe, said that “every tonne of plastic that goes to landfill is a waste. It is too valuable a resource to go that way.” Really, if it needs to be subsidized by the government (tax payer money), what value is he referring to and is it sustainable? Where exactly is the value? Last year the average bale price of recycled bottles fell by 31%, meaning that the bottles were less valuable last year than the year before. Couple this with oil prices dropping by 47% and the result is a compounded decrease in the “value” of recycled plastics. Today, 80 million tons of non-reusable/non-recyclable plastic packaging is produced annually. This volume is expected to double in 20 years. If this 80 million tons were simply designed to comply with the primary disposal method (a.k.a. modern landfills), this material could provide enough energy to power 30 million homes for a year! Nearly 50 years has passed since the launch of the first universal recycling symbol, today only 14% of plastic packaging is collected for recycling. When additional value losses in sorting and reprocessing are factored in, only 5% of material value is retained for a subsequent use. Meanwhile, in a business-as-usual scenario, the ocean is expected to contain one ton of plastic for every three tons of fish by 2025, and by 2050, more plastics than fish [by weight]. What are we doing? There’s a pervasive attitude that we must recycle everything at all costs, this is not sustainable by any definition. Plastics, unlike aluminum, can only be recycled 3-4 times; eventually it will find its way into our waste streams and into our environment. Although recycling does provide us the option to extend the life of some plastics, it is not an ‘end-of-life’ solution. We cannot recycle our way out of the environmental waste problem plastics are causing. If companies continue to ignore performance compliance with todays’ primary means of disposal, facilities that actively control and convert biogas into clean alternative energy (intrinsic return value), progress will remain stagnate. The science and data validate David Steiner’s recommendation; including landfill gas-to-energy provides an environmental and economic value higher than any other option. We can take the advice or not, Waste Management will come out ahead either way, but will we? This entry was posted in Biodegradation, Product Innovation, Recycling, Thought Provoking and tagged ENSO biodegradable & recyclable plastic, landfill gas to energy, landfills, recycling, sustainability on November 7, 2016 by paul.wightman. Do it for the OC! Can you imagine the concentration of plastic packaging that’s accumulated in Orange County alone? Beyond standard recycling, did you know that Orange County has installed four Landfill Gas-to-Energy facilities? The most recent $60 million dollar investment will power 18,500 homes. Altogether, the four facilities will produce 400,000 megawatts of electricity per year, enough to power more than 50,000 homes. These projects are turning our waste into clean energy all over the country and right now they’re the single-most common disposal environment of plastic waste. Ensuring energy recovery in packaging design offers the greatest value in full-scale recycling. Get it out of the environment and into the grid, make today’s waste, tomorrow’s energy! Design for disposal. This entry was posted in Biodegradation, Green Marketing, Plastic news, Product Innovation, Recycling, Thought Provoking, Uncategorized and tagged benefiting from landfill gases., biodegradable plastic, design, environmentally-friendly, recycling, sustainability on September 1, 2016 by paul.wightman. Currently Waste Management is the largest residential recycler in the world. They have invested more than $1.5 billion into their recycling infrastructure – in past years they were investing $300-$400 million each year. With this amount of money invested, it is in Waste Management’s best interest to see recycling thrive. Unfortunately, we are in a crisis with the current state of recycling. This is due to several factors: commodity pricing, quality of collection and changing packaging trends. We are now in the fourth year of low commodity prices, which directly jeopardizes the profitability of recycling. The quality of recycled materials has decreased due to single stream recycling infrastructure where consumers place up to 30-40% non-recyclable materials into the blue bin. 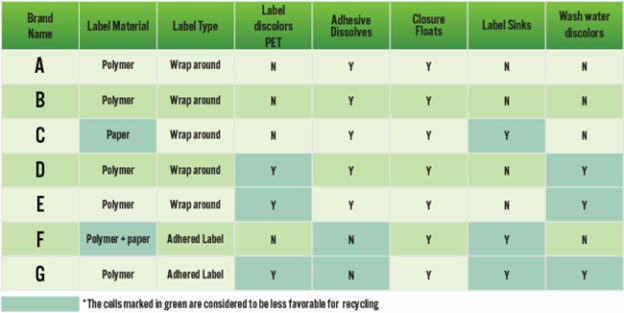 And considering that most recyclable products are related to packaging, the trend toward non-recyclable flexible packaging is replacing packaging that was previously recyclable. So while flexible packaging is a winner from an environmental standpoint because it is light weight, energy efficient and uses much less resources to produce, it is not recyclable. Each of these factors contributes to the current crisis and as the largest recycler Waste Management has an interest in solving the crisis. They also have a unique position because Waste Management is both the largest landfill owners/operators and the largest recycler which makes them the key to solving the recycling crisis. When they fix recycling for Waste Management, they fix it for the entire industry. As a business, Waste Management cannot continue to invest in recycling with a hope that markets will improve. While they have invested over $1.5 billion dollars into recycling, today that is nearly non-existent. They must adapt to the changing market. The recent trend pushing the belief that recycling everything is the end goal has caused some companies and communities to establish zero waste, landfill diversion and zero landfill goals without consideration of the environmental impacts. Some materials have a larger greenhouse gas footprint by recycling rather than landfilling. Reaching total diversion goals will be difficult to achieve due to the issues going on with the recycling industry and may cause unintended consequences. Jim closed his presentation with some thought provoking questions. What is the end goal? Are we trying to reduce greenhouse gases or simply looking to recycle everything? There is a cost to achieving any goal. In this case it may be an environmental cost as well as an economic cost. What if instead of a goal to recycle everything, we focus on greenhouse gas reductions? When we do this we focus on recycling the right things – those that make a real difference. There are various facts and assumptions that are out there. It will be good to identify how to make recycling environmentally and economically sustainable. We need to make recycling sustainable for the future – focus on recycling the right materials, set realistic goals and not try to recycling everything – this just leads to higher costs without the added benefit. This entry was posted in Environmental News, Green Living, Interesting Video Clips, Recycling and tagged recycling on February 17, 2016 by Teresa Clark. Sweden recycles 99% of Waste? Today I ran across an article claiming that Sweden now recycles 99% of all it’s waste. Interested to learn how the Swede’s had figured out the recycling conundrum the rest of the world faces, I delved into the article. To my dismay, this was clever redirecting and marketing. Somehow it is now considered recycling to burn trash?? However, when did we redefine recycling to include incineration? There is no environmental benefit to redefining verbiage to skew the data and make ourselves feel better. Let’s just stick with the actual facts and forget the clever re-directions: Sweden recycles about 49% of their trash, they incinerate about 50% and the remaining is landfilled. No sugar coating needed. 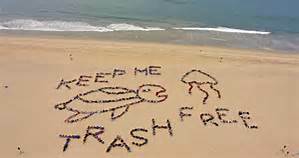 This entry was posted in Latest Blogs, Recycling, Thought Provoking, Uncategorized and tagged recycling on November 24, 2014 by Teresa Clark. It never fails that at least once a week I see articles and reports regarding problems with our recycling system. Across the world we constantly see recyclers going out of business, china refusing to import recycled materials, governments and companies having to constantly funnel more money into recycling programs and an incredible media push to try and increase recycle rates. And yet, with all these problems I have yet to see an article that proposes a paradigm shift – instead it seems the thought is; “we will make up our losses with volume”. Interestingly, you will never see recycling the way we attempt it today occurring in nature. I have yet to see a natural process that takes a wilted flower, chops it up and recreates a new flower; or feathers that have fallen off a bird reattached to another bird. Even if this is were theoretically possible, the resources required to do such a thing would make it too inefficient. This is similar to the problem we see in our current method of recycling – the resources required to complete the process are not equal to the value of the recycled material. This results in the unsustainable system we have today. Perhaps it would make more sense to follow the example of what has worked for millions of years. In nature, waste materials are broken down into basic building blocks (soil, air, water) in a process that instead of requiring resources, provides value into the overall system (bio-degradation). These building blocks in turn are used to rebuild almost anything. This is a sustainable and resourceful process – true recycling. This is also a process that we can replicate today. Isn’t it about time we replicate the genius of nature and quit propping up unsustainable systems? There is no arguing the serious growing environmental problem with the waste that is being produced and that recycling the way it is structured today will NOT solve that problem. If we are to get serious about sustainability and solving the global plastic pollution issue we need to stop sticking our heads in the sand and incorporate various solutions, with recycling being one of them. BUT, and that is a very big “but”, we have to stop pushing bad and misguided ideologies. All plastics are technically recyclable (meaning reusable as a polymer) and if society is going to financially prop up recycling businesses – we should be requiring them to take all plastics. Additionally, for the long term objectives, all plastics should be biodegradable to ensure the polymer itself does not linger after it’s useful life. To achieve success, we must all work together, recyclers should be accountable to embrace new technologies and join the group of us trying to solve the global pollution issue rather than simply cherry picking ideal applications, holding a facade of environmental motivation and ultimately simply looking to return a profit. This entry was posted in Uncategorized and tagged biodegradation, recycling on November 21, 2014 by Teresa Clark. California’s beverage container recycling program, at nearly 30 years old, is broken. With cost overruns of $100 million in three of the last four years, one key problem is paying out refunds for beverage containers that were actually purchased out-of-state and never subject to California’s deposit system, according to a new report from the California State Auditor. 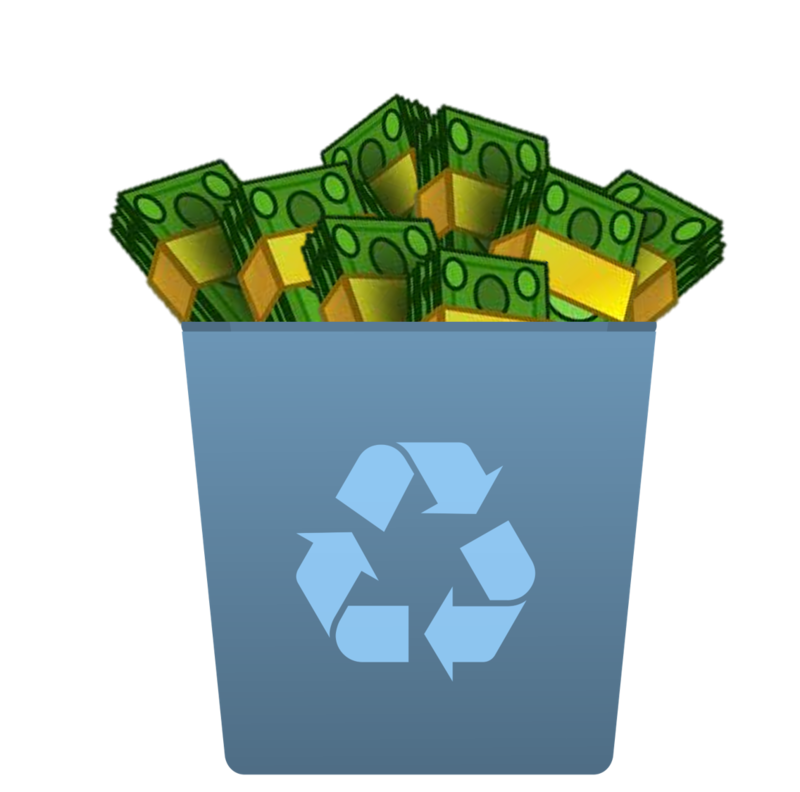 Last fiscal year’s cost overrun at the program overseen by the California Department of Resources Recycling and Recovery was nearly $29 million, the report states. “CalRecycle needs to better respond to the fraud risk presented by the importation of out-of-state beverage containers for recycling refund payments,” warns a summary of the report issued by the auditor’s office. California has never expected every single one of the containers subject to the deposit law would actually be recycled. And it’s that difference in what is paid by consumers and what is actually refunded that has historically covered operational costs of the program. A break-even point for the program is a 75-percent recycling rate, but CalRecycle reported a recycling rate of 85 percent in 2013, the auditor’s report states. “Based on that recycling rate, the revenue collected from beverage distributors is no longer adequate to cover recycling refund payments and other mandated spending,” the summary states. The state General Fund and Air Pollution Control Fund, at the end of the 2009-10 fiscal year, owed the beverage container program $497 million. But repayments in recent years have brought that balance down to $82 million. These loan repayments have allowed the beverage container program to continue operating, but have also masked the program’s cash flow problems, the auditor reported. “Based on the recent financial condition of the beverage program … immediate action is needed to ensure the continued viability of the beverage program,” the auditor warns. Solutions include reducing or eliminating subsidies to beverage makers, “requiring them to pay the full cost of processing fees” paid to recycling centers and other entities, the report states. The state currently subsidizes more than half of thee processing fees, and eliminating that subsidy would add $60 million to $80 million. Another way to raise revenue for the program that started in 1986 could be the elimination of a 1.5 percent administrative fee that beverage distributors are allowed to retain. This could add another $18 million to the coffers, the auditor’s report states. In total, the audit report has identified potential savings and additional revenue of up to $233 million annually for the program. 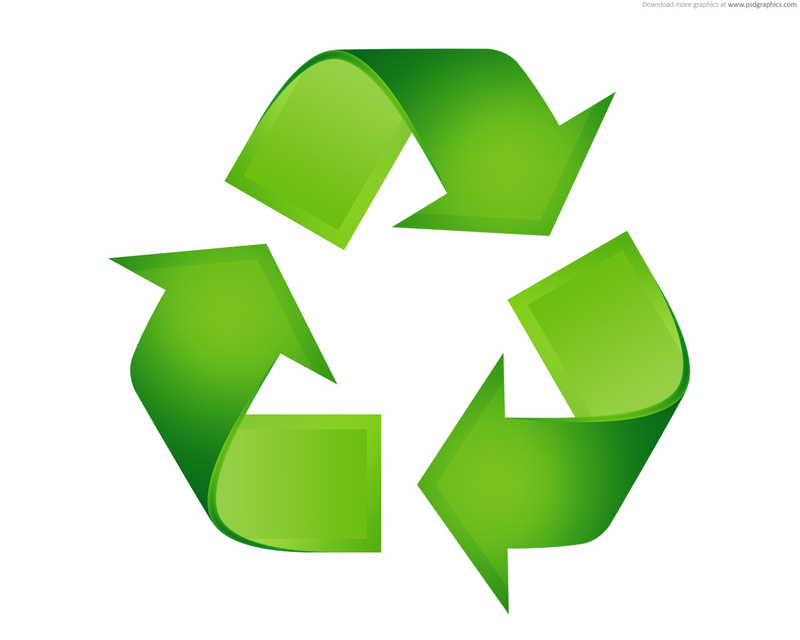 While ENSO supports recycling efforts and recycling (when done correctly) is a key part of an overall sustainability mission it begs the question why are recyclers in other states able to run a successful recycling business but in California the recyclers can’t? Maybe its time to eliminate the subsidies to recyclers in California and put that money towards a better use? This entry was posted in Environmental News, Plastic news, Recycling, Thought Provoking and tagged biodegradable word not allowed in California, California recycling problem, recyclers, recycling, recycling subsidized on November 14, 2014 by danny.clark. A Wisconsin-based manufacturer of plastic lumber products has agreed to stop making allegedly unsubstantiated claims about the recycled content and recyclability of two of its brands of plastic lumber. Under the FTC settlement, the company, N.E.W. Plastics Corp., must have credible evidence to support any recycling-related claims it makes, and is required to tell its distributors to remove any marketing material for the two products provided by the company before December 2013. N.E.W. Plastics Corp., which also does business as Renew Plastics, is based in Luxemburg, Wisconsin, and makes plastic lumber products, including the Evolve and Trimax brands, which are used to make items such as outdoor decking and furniture. It sells the products to consumers through distributors. * that both Evolve and Trimax are recyclable. The proposed consent order prohibits N.E.W. from making any statements about the recycled content, post-consumer recycled content, or environmental benefits of any product or package unless they are true, not misleading, and are substantiated by competent and reliable evidence, which for some claims must be scientific evidence. The proposed order also bars N.E.W. 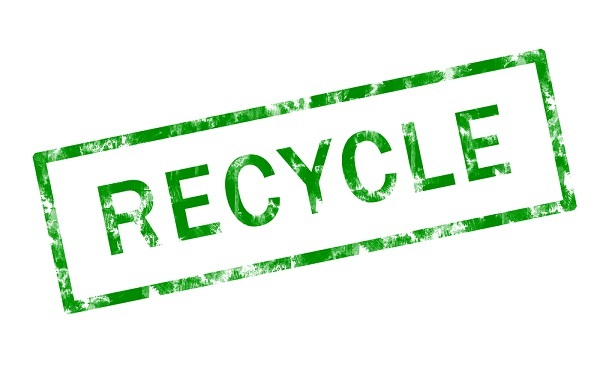 from making unqualified recyclable claims about any product or package, unless the product or package can be recycled in an established recycling program, and such facilities are available to at least 60 percent of consumers or communities where the product or package is sold. If N.E.W. can’t meet these requirements, it must qualify the claim regarding the availability of recycling centers. If only part of a product or package is recyclable, N.E.W. 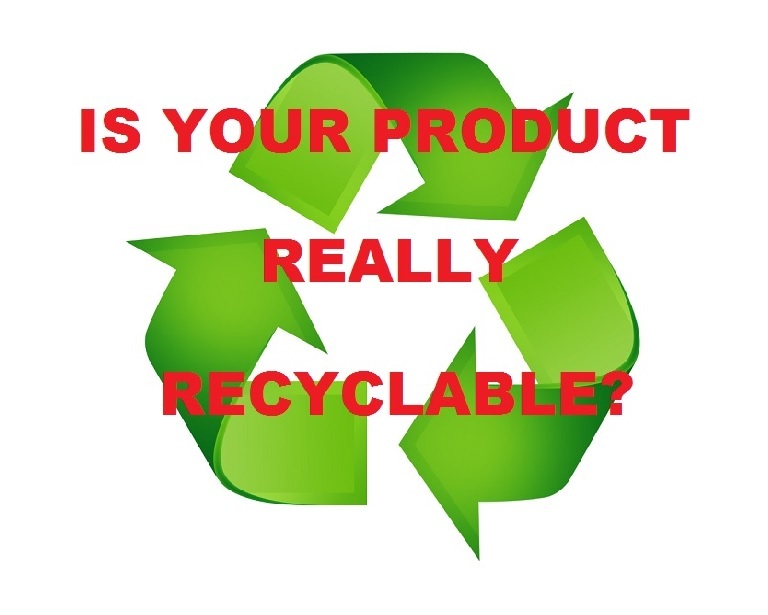 must disclose to consumers which part or portion of the product or package is recyclable. Finally, the proposed order bars N.E.W. from providing anyone else with the means of making false, misleading, or unsubstantiated claims. The order will end in 20 years. The FTC has new information for consumers in a blog post on its website. Also the FTC provides detailed guidance to businesses on environmental claims in its Green Guides. This entry was posted in Environmental News, Green Marketing, Labeling and Claims, Latest Blogs, Plastic news, Recycling and tagged false recycling claims, FTC Green Guidelines, recycable claims, recycling on February 21, 2014 by danny.clark.